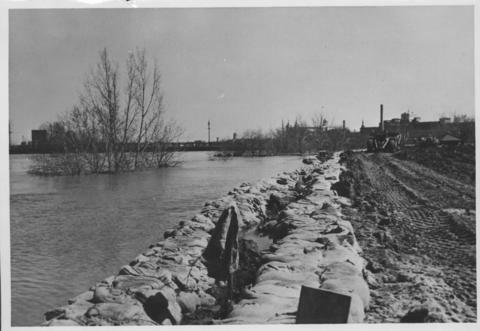 Photograph shows scene from 1950 flood. Description (on verso): Note the roof of the Greater Winnipeg Sanitary District Marion Street pumping station on the right. Stamp (on verso): City of Winnipeg - Engineering Dept., Water Works Division, Ross and Tecumseh.